Seventh edition of Prof. Rajendra Tandon memorial post graduate update in cardiology clinicswas Inaugurated and conducted successfully from 8th to 10th March 2019. This three day unique program offerd an opportunity to cardiology students (DM, DNB, FNB cardiology ) to present and discuss variety of cardiac cases , which are common clinical cases examinations . This program also includedclinically posted in oriented lectures, interactive sessions on ECG, ECHO, ANGIOGRAMS, CT and MRI.Over 200 students participated in the sessions over three days. The core objective of this program is to edify cardiologists for the betterment of Society. This program was dedicated to late Prof. Rajendra Tandon, who was the pioneer in paediatric cardiology from AIIMS, New Delhi, India and the architect of this program.This cardiac update program started several years ago in chennai, turned out benificial for cardiology students (P.G s) to gain first hand experience on a spectrum of examination oriented cardiac cases. 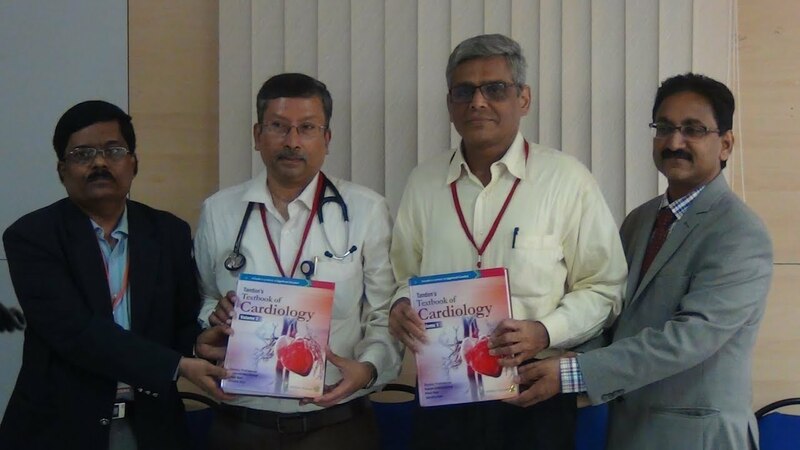 “Tandon’s textbook of Cardiology” by Prof. Dr. R. Krishna Kumar is launched on the inaugural session of Cardiology Update in Clinics. Over the past few years this update is organised at SIMS hospital premises, with the kind & continuous support from respected eminent professors in cardiology from all prestigious institutions across India. The bygone six editions of this Clinical Update aresuccessfully conductedwith the enthusiastic support fromShri. Ravi pachamoothoo, Chairman SRM Group and Dr. Raju Siva Samy, Vice President SIMS hospital Chennai.